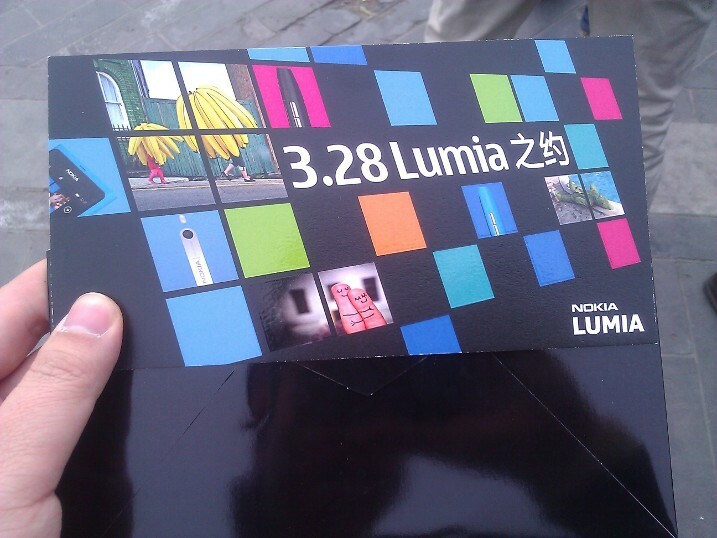 Nokia makes its play for China with the launch of the Lumia 800C – but can it succeed? 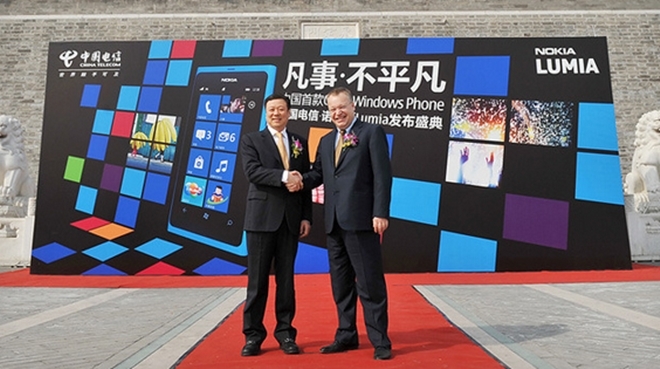 Today Nokia has finally unveiled details of its play to rival Apple, Samsung and others in China with the launch of the Lumia 800C, a Windows Phone 7 device that becomes its first CDMA release in the country, as had been expected. 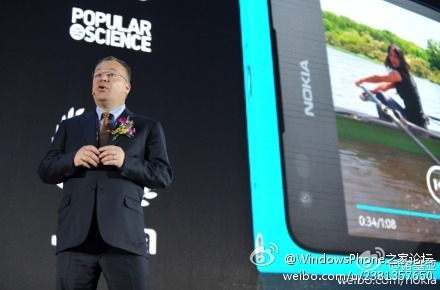 Following Microsoft’s Windows Phone 7 China launch last week, Nokia CEO Steven Elop was in town as the Lumia 800C was unveiled alongside China Telecom, the country’s third largest operator, at an event in Shanghai today. We’re excited to introduce our first Lumia smartphone, the Nokia 800C, to this important market with our exclusive launch partner, China Telecom. Working closely together, we’ve created a compelling, locally relevant experience on the Nokia 800C especially tailored for people in China. The regular version of the Lumia 8ooC (‘C’ standing for China) has been well received by critics, including our own Matthew Panazarino, who said it is a device that he would considering owning instead of his iPhone. The Lumia 800C is set to go on sale next month for $570 (3599 RMB), available via China Telecom’s distribution channel — ‘Tianyi FlyYoung’ shops — Nokia brand stores and a range of China’s top electronic and gadget retailers. Following closely behind will be the Nokia Lumia 610 (CDMA), aimed at a younger audience, which will also be exclusive to China Telecom when it arrives in Q2 2012. Microsoft has spent plenty of time localizing the operating system and Nokia is looking to build on that local appeal, in collaboration with China Telecom. Lumia users will have exclusive access to a range of content — including local magazines content, games and apps — and the dedicated Chinese Marketplace was opened today, offering 100,000 free downloads. The apps won’t stop there as Nokia is launching the ‘Be Top’ developer program to encourage Chinese mobile develop to create compelling content for Nokia (and Windows Phone 7 we also presume) as it bids to beef up its appeal to Chinese users. However, with just one operator in board, how will Nokia fare? The pre-event build up had focused on comments from Microsoft’s Simon Leung, who claimed that the company was aiming to overtake the iPhone in China, which is the world’s largest smartphone market. Despite dominating in many international markets, the iPhone is some way from being China’s most owned. That accolade belongs to Samsung, which has 24.3 percent market, roughly three times more than the iPhone, according to Gartner. Samsung is beating Apple on both price and range of product and operators, and are areas where Nokia’s efforts will work in its favor. Though initially it is just launching one device, the introduction of other Lumia devices will help Nokia reach a multitude of consumers at differing price points, all of which are crucially cheaper than the iPhone. It had been rumored that Nokia’s exclusivity with China Telecom would last for an initial short period, with its device set to go on sale through other operators. The Lumia phones will be sold unlocked and therefore available to users on all networks, but Nokia would benefit from expanding its collaboration beyond one exclusive partner. China Mobile and China Unicom have a combined userbase in excess of 880 million which provides a huge extension of reach and, if the Lumia is the Windows Phone device that China Mobile claims will run on its 3G network, aggressive promotion from the two other carriers could pay dividends. Apple is yet to release a device for China Mobile’s 3G network meaning that Nokia, or one of Microsoft’s other Windows Phone partners, is likely to steal a march on Apple, with the potential to appeal to customers wanting a 3G smartphone while they wait on Apple. While the prospect of Nokia overtaking the iPhone is patently absurd in the West, it is feasible in China. It doesn’t yet have the range of product and distribution to take down market leader Samsung but its cost advantage over Apple, and the fact that its name is still appreciated in Asia, gives it a fighting chance. Nokia is putting significant effort into localization as was plainly evident at the launch where executives from leading social media sites Sina Weibo and Renren spoke about the Lumia range. Nokia’s aim to build a Chinese smartphone for Chinese consumers is differentiating it from the competition. However, to grow its share considerably it will need to extend its reach and range of devices to hit mainstream Chinese consumers.